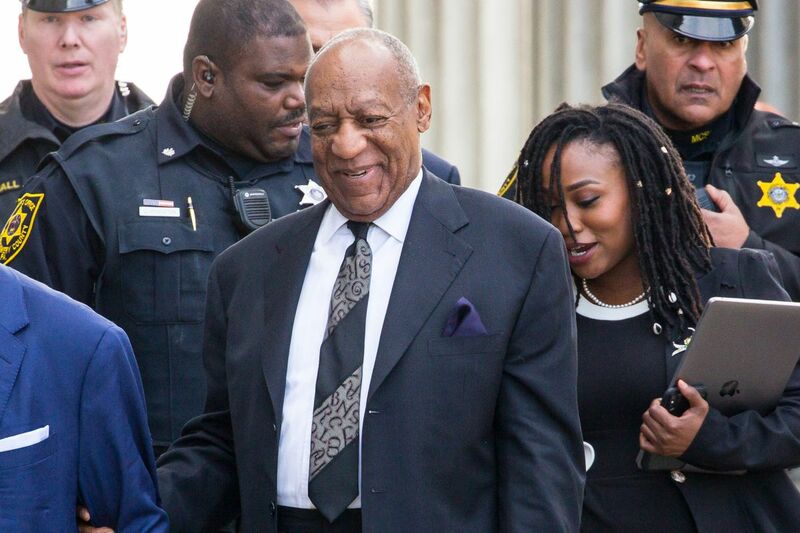 Bill Cosby exits the Montgomery County Courthouse, after a pretrial hearing in the sexual assault case in Norristown on March 6, 2018. Round one of the Cosby retrial began Monday in a Norristown courthouse. Bill Cosby is charged with three counts of aggravated indecent assault for allegedly drugging and sexually assaulting former Temple employee Andrea Constand. Throughout the first two days of the case, I felt as if my head were spinning. At times I felt rage, at times I felt so sad, and in other moments I wanted to stand up and applaud the prosecutors for their tenacity in moving this retrial forward. For more than 20 years I have been counseling patients who have an extensive abuse and assault history. I am also a childhood abuse survivor. I connected with the Constand family and other Cosby accusers in 2016 after publishing an op-ed for the Inquirer after the "Jane Does" went public. I attended Cosby's first trial last June and wanted to be present at the hearing this week to show my support for these warriors. I also wanted to hear arguments supporting the request to have other witnesses take the stand. The pretrial hearing focused on five motions, including one that could allow 19 other witnesses to share their harrowing stories of sexual assault allegedly committed by Cosby. When Montgomery County Assistant District Attorney Adrienne D. Jappe took the floor to argue in favor of allowing 19 additional witnesses to take the stand in the retrial, I found myself sitting on the edge of my seat, at times barely breathing. Jappe looked directly into Judge Steven O'Neill's eyes and said, "Each victim became completely incapacitated." Jappe went on to explain that each victim reported feeling like a "mannequin," "in a fog," or "passed out," after allegedly being given some type of sedative and then sexually assaulted. She spent two hours fighting for these other accusers to take the stand to show Judge O'Neill a pattern of "sadistic sexual script." After Jappe's arguments, Judge O'Neill announced that he will "start another exhaustive analysis of this issue." We should not expect an answer on the ruling until next week. The second day of the pretrial hearing featured members of Cosby's defense team arguing for more than 90 minutes about why these witnesses should not be allowed to testify. Defense lawyer Becky S. James claimed the only reason prosecutors want to call witnesses is because they have a "weak" case. She also used the argument that many of these witnesses did not report to the police and that they were making "false accusations" against Cosby for financial gain. Statements like these demonstrate the scrutiny a victim must go through when filing criminal charges. James did not tell the court that more than 80 percent of those assaulted will never press charges. Even fewer will tell after living through a violent crime with drug facilitation. James did not tell the court why so many women stay silent. James did not explain that being put into a coma-like state and then having someone force sexual contact is not consensual. In the 20-plus years that I have been seeing patients of all kinds of trauma and abuse, I have worked with only two patients who went through the legal system to try to find justice. Most of my patients tell me I am the first person they have uncovered their trauma to — whether it happened 5, 10, or 40 years ago. Many patients haven't even told their spouses or closest friends. Victims stay silent because they fear being disbelieved, discredited, threatened, or scrutinized for speaking out. I spoke with many of the Cosby accusers during the first trial about what they suffered after coming forward. My heart broke as they shared stories of betrayal, disbelief, and victim blaming. James did not mention the consequences and the risks these 19 women are taking by offering to testify in the retrial. We are at a turning point in our society when it comes to speaking after experiencing sexual assault. The amount of press on this topic has been an opportunity to educate the world about the risk someone takes in moving forward in a criminal prosecution against the accused. Judge O'Neill's ruling on allowing the 19 women to testify could be life-changing for anyone affected by sexual assault. I hope he allows the women to speak.